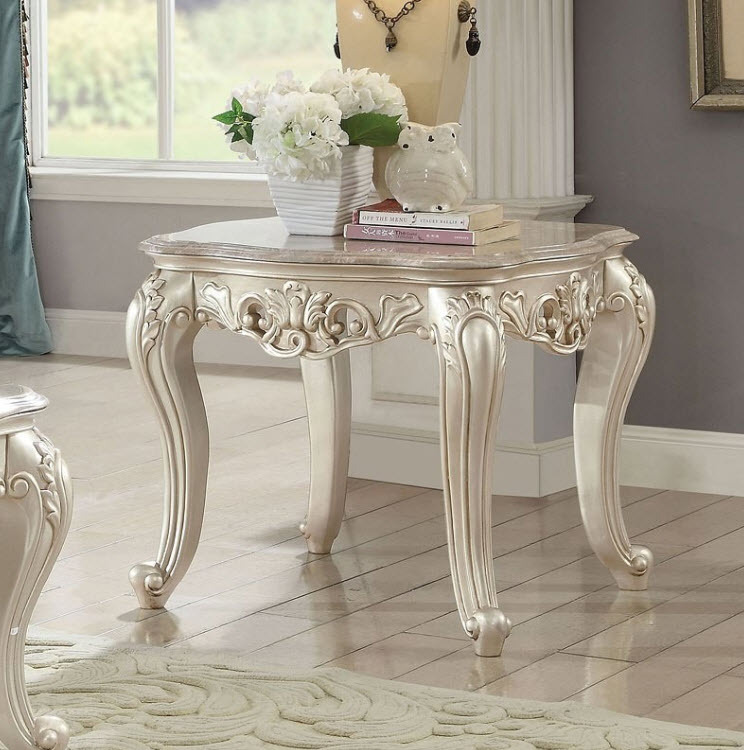 Elaborate old world designs are treated with a distinctly modern touch on the Gorsedd table. 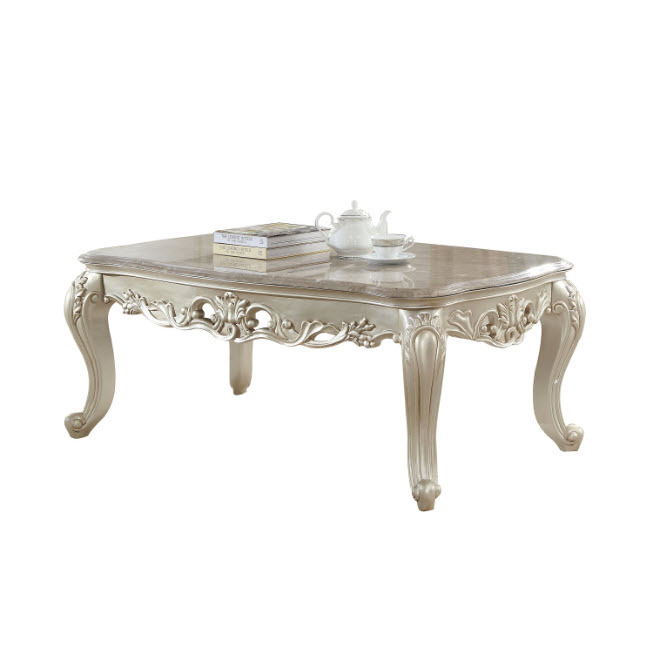 This elegant wood table features a stunning scalloped marble table top and detailed table legs in a rich antique white finish. This unique rectangular table feature scalloped apron and carved floral motifs. 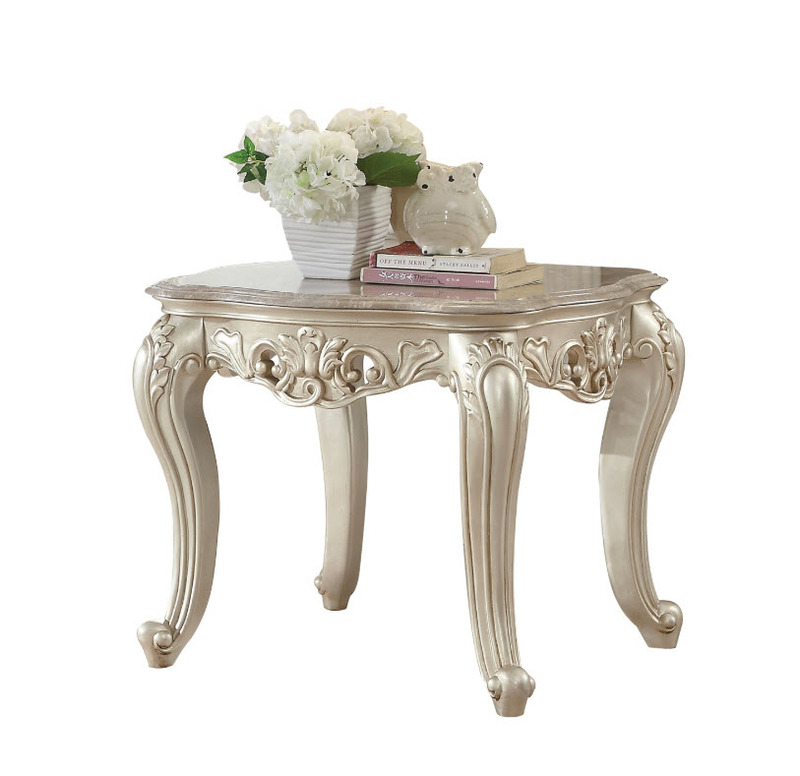 With accent details such as shell and acanthus leaf scrolling and Queen Anne legs, the look of this beautiful occasional table is solidified. *Please note that the base price only includes (1) Coffee Table, please add the additional End Table to customize this set to your liking.